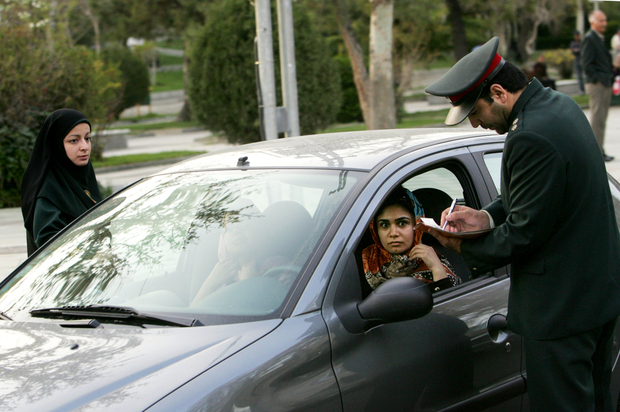 JNN 04 Aug 2015 Tehran : Women drivers in Iran’s capital could have their cars impounded by police if they are caught driving with a poorly fixed veil or without their heads covered, a police chief said Wednesday. Since the Islamic Revolution in 1979, wearing a veil in public as per Islamic Code of Conduct , has been mandatory for all women in Iran. But recent decades have seen a loosening of the rules governing female dress . due to Undue tolerance and leniency, for which many women in Tehran dress in a way that is not in accordance with the given Code of Conduct by the Government , rather is contradictory to the women clothing regulations , set by the Islamic Government of Iran . Iran’s moderate President Hassan Rowhani has since his June 2013 election overseen some political and social reform but even after atleast 35 years of the Irani revolution, the country’s political establishment remains deeply conservative , In accordance with the Islamic Sharia . This entry was posted in Iran News and tagged Irani women, Veiled Women, Women Drivers. Bookmark the permalink.